Construction, Retail, Hospitality, Warehousing, Industrial, Facilities Management and Rental Fleet applications. Kenwood’s compact and rugged ProTalk® TK-3402 U16P UHF two-way radio characterizes ergonomic and quality excellence. Based upon a proven design with enhanced features, it has the power and performance to meet the toughest job requirements. This new version radio replaces the popular Kenwood TK-3302 U16P radio. The TK-3402 U16P radio is easy to use yet has a full set of must-have features. There is a Channel Announce feature making it easy to change channels without looking. The radio has a built-in Voice Scrambler function. The TK-3402 U16P also includes features such as; DTMF Auto Dial to dial a phone number, Talk Around to by-pass a repeater when needed, and Nuisance Channel Delete to temporarily delete a channel from the scanning list, as well as many more features. Like this radio but need a VHF version? 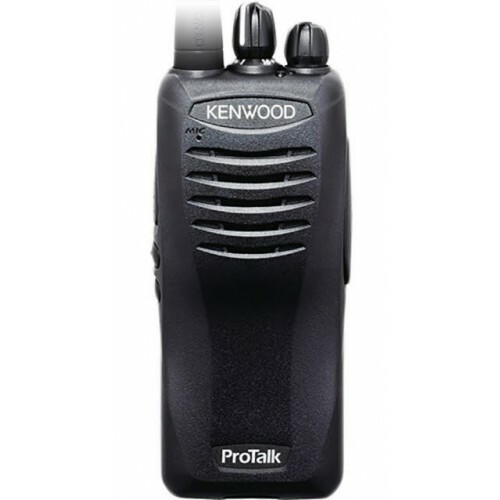 Take a look at the Kenwood ProTalk TK-2402 U16P.